One doesn't expect excitement on a reading-party. That's not the idea at all. A group of young men facing their final examinations within a year; a tutor, ambitious for his charges or merely amiable, prepared to spend part of his vacation in their company; comfortable quarters in some quiet country place, with hills that can be climbed or antiquities that can be inspected in the course of an afternoon: these are the essentials. In the morning the young men pore over their texts, carefully underlining every third or fourth sentence, or pausing to copy whole paragraphs into bulging notebooks. Their tutor, who knows these to be virtually useless labours, is invisible in his room; he is writing a book which he knows to be virtually useless too. 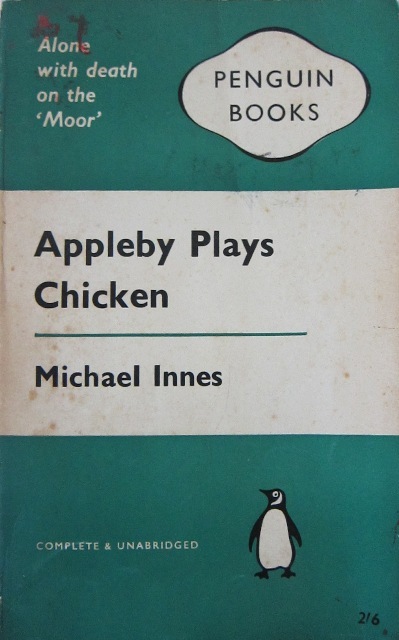 It is not Sir John Appleby who plays the game of Chicken, but a group of undergraduates on a vacation reading-party. Their plan is to emulate their American counterparts who are reported to face their cars towards a cliff with the intention of racing towards the edge. The destruction of the vehicles is inevitable, but the men can save their lives by jumping to safety, although the first to do so apparently identifies himself as the one most lacking in courage. These English students opt to test their courage with a less destructive version of the game, and late one evening, after their tutor has gone to bed, they pile into a single car and allow it to travel uncontrolled and at high speed on the downward slope of a hill; the first to grab at the steering wheel is to be similarly derided. It is not clear exactly why they choose to play such a dangerous and pointless game, except that they are young and high-spirited, and looking for excitement. At the last moment David Henchman takes control of the steering wheel to save the car and their lives, but he resents the game and the next morning he wishes to have nothing to do with any of his friends. He heads out across the moor on his own, absolutely certain that he wants no company. It means that he is by himself, and uncertain of his bearings, when he comes across the dead body at the top of Knack Tor. Or so he believes at first. It soon becomes clear that another man is close by, affecting to continue his walk across the moors, and showing no interest in the Tor. They appear to be the only people in the vicinity, so David cannot ignore the possibility that this stranger may be the killer of the man whose body now lies hidden in the hollow of the rock, or perhaps the dead man selected this lonely spot in order to commit suicide, as there is a bullet wound in his forehead, and a small pistol in his hand. But when the stranger starts shooting, that mystery is solved, and David Henchman's predicament becomes clear. If he is to remain alive, he must get himself back across the unfamiliar and boggy territory in order to alert the police of his discovery. And as it is evident that the murderer's intention is to prevent this, David Henchman will not be safe until he is in the company of others. The greater part of the story is concerned with this pursuit, which reads like a hare-and-hounds chase, with one trapped, confused, and terrified young man running for his life, pursued by a murderer who seems able to summon assistance at a whim; the previous evening's game of Chicken was no preparation for this real test of his courage. And in the typical Michael Innes tradition, the chase is larger than life and exaggerated, with Fortune sometimes favouring the pursued, and sometimes favouring the pursuer. Despite exhaustion, injury, hunger, and light-headedness, David Henchman must continue on. And once Appleby becomes involved, it could be construed that he is playing at something that approximates the game of Chicken, in that he takes subsets of the undergraduates into situations which are clearly dangerous, calculating the risks, and trusting them to follow his instructions. He remains calm and controlled throughout, aware that while danger is an unavoidable element of his work, it is not the thrill he seeks. For him, the excitement is in the challenge: in the chance to solve a mystery. It is the same idea which is developed in the book I read last week - The Man Who Won the Pools. There is merit in developing the ability to think deeply, and it is a skill common to those involved in academia and detection. I felt there was something unsatisfying about the resolution of this mystery, though. When Appleby comes to a realisation of what has been going on by reflecting on an obscure verse from the Rubaiyat of Omar Khayyam, it becomes clear that elements of the plot, including the characters' names, have been contrived to enable this one insight. And even though the plot of a work of fiction is obviously contrived, to have this aspect made so apparent seemed to break the spell. The story then continues so that Appleby could determine which of two potential villains was the criminal behind all that had taken place. But with so much focus on the chase, it hardly seemed to matter, as neither potential villain had been developed into anyone of interest. The solution simply seemed irrelevant, so that it was almost as if he could have simply tossed a coin. Penguin no. 1640: Hamlet, Revenge! Thanks for the review Karen. I like the reading party idea. 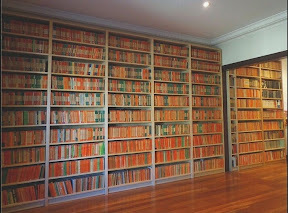 I find many of the endings of classic mysteries can seem a little contrived.